Which Claw Crane Machine Is More Popular In Game Center? As much as possible on the basis of guaranteed profitability to allow customers to catch gifts, which will drive the lively atmosphere of the venue. 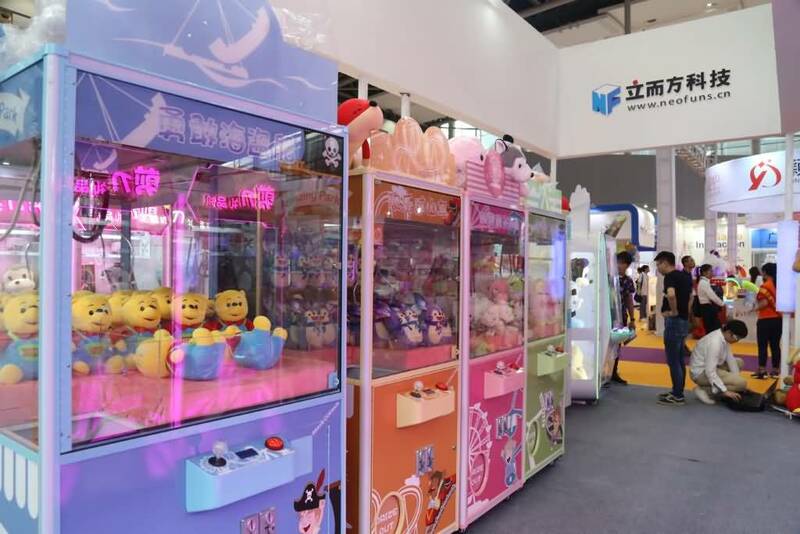 At the same time, it will cause other customers to have an interest in the prize claw crane machine and also get good publicity. In general, customers play the claw crane machine for the gifts. Of course, some players enjoy the process of claw crane machine. In this case, it should be set the probability of prize, the players may be acceptable the cost of the prize lower than the value of the gift, otherwise which will cause the player to lose interest and even no one at all willing to continue playing. The player is attracted to after seeing gifts inside the machine, so it must be ensured that the gift is enough attractive. High-quality toys with different style such as exquisite, cute, popular etc. Girls like exquisite and beautiful look jewelry, watches, all kinds of strange new trinkets. The setting of a general chance of winning should not be too difficult. If there are more than one gift machines on the same venue, it is better to have one set of higher probability to relatively easy for customers to catch the prize. Gifts that are more valuable can be increased in difficulty and adjusted appropriately by players’ feedback later in the game. 1. Earn profits directly through consumer spending. 2. Earn advertising costs by attracting popularity and attracting traffic to achieve the purpose of advertising. 3. It is not for the purpose of profit, or even run at a loss, mainly to accumulate popularity for the better sale of other products.